Nothing in the whole world makes D happier than reading. 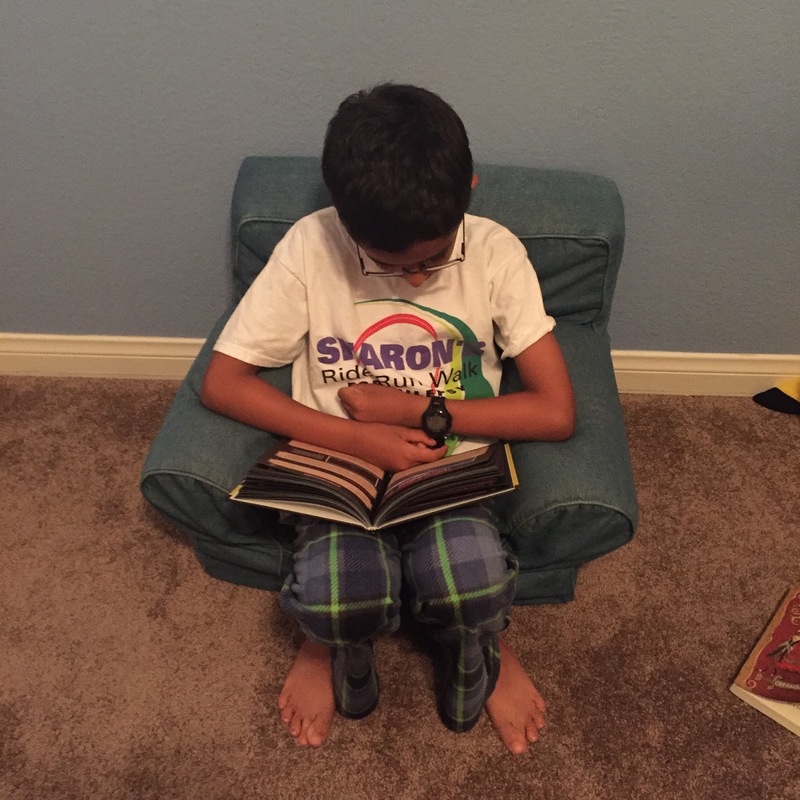 When he isn't playing with his friends or with Pokemon cards or jumping of the highest diving board, he is reading! 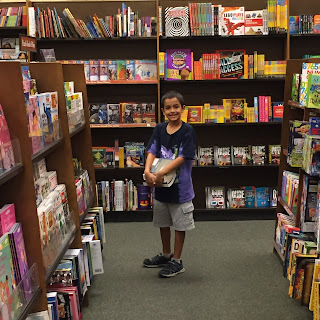 In fact, his happy place is the library or the book store. 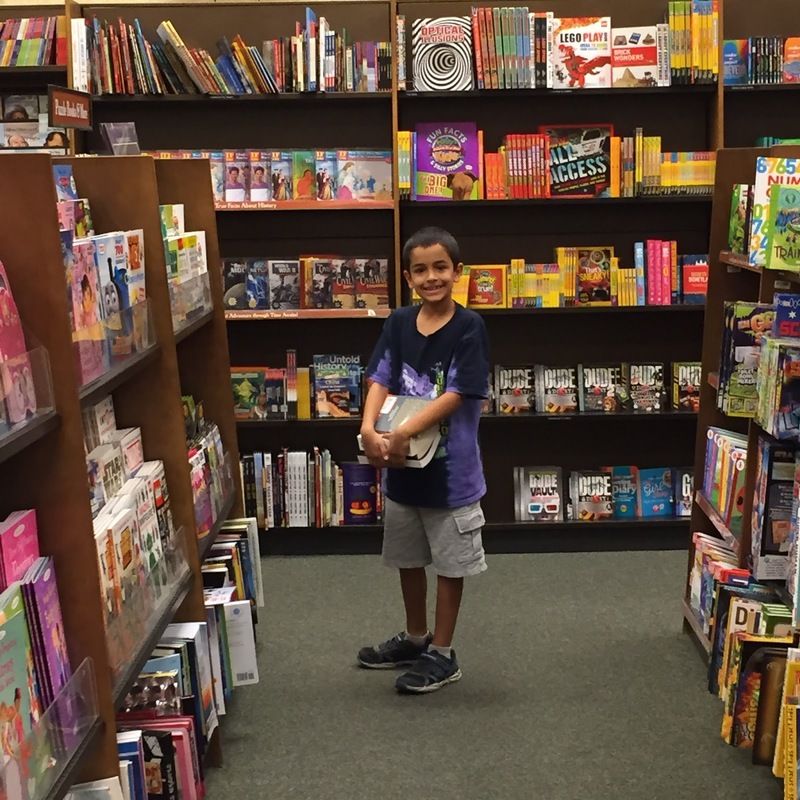 So imagine how thrilled him and kids like him will be when they hear about this summer reading initiative in San Diego! 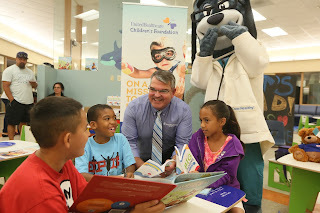 UnitedHealthcare is donating 40 UnitedHealthcare Children’s Foundation (UHCCF) reading stations, nearly 1,000 Oliver & Hope children’s books and 2,000 activity worksheets as part of a San Diego summer reading initiative. The reading stations provide children a colorful place to read or draw, making doctor’s visits more enjoyable. 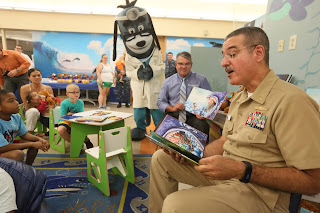 The announcement happened today at Balboa Naval Medical Center where UnitedHealthcare employees and Naval Medical Center staff joined mascot Dr. Health E. Hound, community leaders, children and families for a reading circle with several children. UnitedHealthcare donated the first 10 reading stations to the YMCA located at the Naval Medical Center, which will coordinate the use of the reading stations and children’s books in patient waiting areas in the hospital. 500 additional books will be presented to local pediatricians that participate in San Diego’s Reach Out and Read program. These books will enable participating pediatricians, family physicians and nurses to give every child a book to keep when they come for a well-check visit. My kids love the books and magazines that they have at doctor's offices. And as a mom, I would rather them read than watch TV! Organizations receiving the reading stations and books include Family Health Centers of San Diego, San Ysidro Health Centers, Vista Community Clinics and North County Health Services. UnitedHealthcare will donate 500 books to Reach Out and Read San Diego, which prepares America's youngest children to succeed in school by partnering with doctors throughout San Diego to give out books and encourage families to read together. These books will enable participating pediatricians, family physicians and nurses to give every child a book to keep when they come for a well-check visit. “We are grateful for the opportunity to provide these reading corners and the Oliver & Hope series to health centers and physician offices in San Diego as an important health and learning resource for children,” said Brandon Cuevas, CEO, UnitedHealthcare of California. It was quite the event! The UnitedHealthcare Children’s Foundation’s mission is to provide medical grants to help children gain access to health-related services not covered, or not fully covered, by their parents’ commercial health insurance plan. Proceeds from the Oliver & Hope books help fund the UHCCF child medical grant program. Since 2007, UHCCF has awarded more than 9,000 grants valued at over $27 million to children and their families across the United States. More information about the Oliver & Hope books, including free audio recordings of the books as well as fun activities and downloads, can be found at Oliver & Hope’s Clubhouse at UHCCF.org. 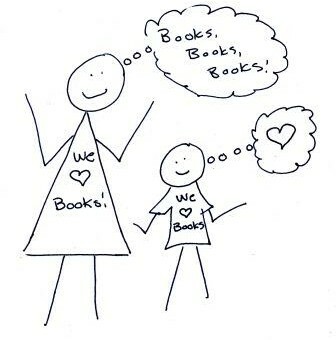 Read with your kids. Please! According to the Children’s Reading Foundation, parents who read with their children 20 minutes a day from birth through elementary school help them become more proficient readers, and build strong minds and strong relationships. Disclaimer: This post sponsored by Tenacity Media. Did you like to read as a kid? I did and I still do! It relaxes me! 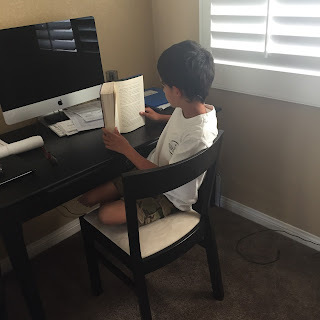 Do your kids like to read? D is a reading monster!